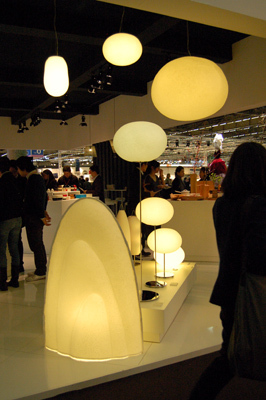 Kansei Design Showcase was held in Kanazawa, Japan, in October and in Hong Kong in December. Attracting a large number of visitors, the event ended with great success. 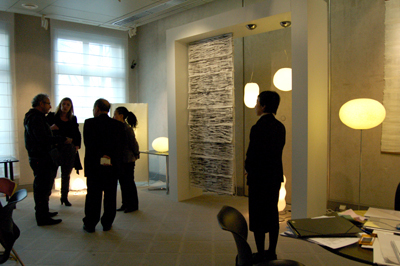 Our Moon series lighting equipment made with seamless three-dimensional washi was among the products selected for display at the event and exhibited both in Japan and abroad. Every year, Saudi Arabia holds the annual Janadriyah Festival, which is the only national-level cultural festivity in the country. Our products have been chosen to be presented at the Japan Lifestyle Showcase exhibition at this festival as articles that offer emotional value. The thawing season has finally arrived, and the walls of snow piled up during the winter have become a little shorter. This year, we have often had snow in Tottori since New Year's Day. It has been the heaviest snowfall since 1983. After participating in two exhibitions in France, we came back to Japan. 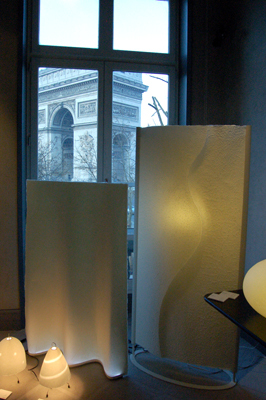 First, let us report on the JAPAN BRAND exhibition in Paris. The exhibition marked its third anniversary this year, and we attended our booth for the second time in a row since last year. We met the buyers and other visitors again who had come to see our products last year. The two-day period of the exhibition passed very quickly. Seamless three-dimensional washi was regarded as a very rare material, and we got approached by a lot of people about the Natural lampshades, which have been improved this year. It was the third time that the JAPAN BRAND exhibition was held at the Mitsukoshi Etoile Art Gallery. Surprisingly, though, this year's exhibition would be the last to be hosted by Mitsukoshi Etoile. We were told that they would finish their cultural program with the JAPAN BRAND exhibition. The place was opened in 1992 as the Mitsukoshi Etoile Art Gallery in order to promote cultural exchanges between Japan and France and other European nations. The building housing the gallery has a long history itself. It was built in the 1860s. We are very proud to have been able to take part in the last event in a building with such a long history. It is very sad and a pity that we will not be able to use that place again. Anyway, we appreciate the support they gave us over the last three years. 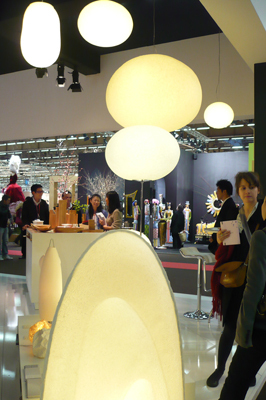 The MAISON&OBJET trade show took place in France during a five-day period from January 21 through 25, and we participated in it for the first time. It seems that MAISON&OBJET is increasingly recognized around the world as a venue for creating new trends in home fashion. The exhibition site was large in area and made up of HALL 1 to HALL 8. It was so huge that we found it difficult to check on all the exhibits even in HALL 6 alone where our booth was located. 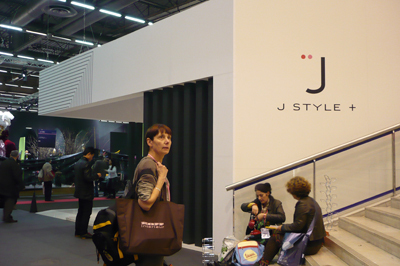 Our J STYLE+ booth was set up next to the staircase leading up to the entrance of HALL 6 on the second floor. We were among the 12 Japanese companies selected for participation in the show. The lighting in the J STYLE+ booth was a little low, which was good for our lighting products made with seamless three-dimensional washi. Due to the limited space, we could not exhibit large products. The lampshade in the front is "SPRING," which was designed by Ms. Noriko Hashida.